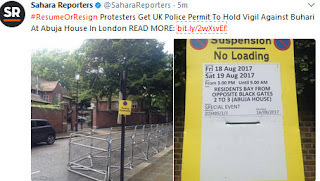 I reported here that Nigerians got permit from the UK government to hold vigil at the gate of Buhari's home, Abuja House, London. The vigil went ahead as planned with protesters staying through the night. Watch videos below.